Some of you may recall me sharing a special Tots + Tykes hamper from Social Network Solutions last year. Filled with an array of wonderful baby and children’s items including clothing, toys, accessories and food for the children. So when I received an email a few months ago asking whether I’d like to receive another hamper this year – of course I said yes. Arriving towards the end of the school summer holidays, I have to confess to being a little late in sharing the video of the unboxing and further details of the brands included. Whilst the video helps to give you a glimpse into the items I received, it would be so much longer if I went into great detail. Below you’ll find further details about the brands and products included. As well as links to their websites and any discount codes I have to share. I’m not quite sure whether I pronounced their name correctly in the video, but they sent three beautifully wrapped up gifts for the children. Which I do confess to ripping open as I’m a child at Christmas and I couldn’t wait to see what was inside. Sending something for each of the children, Piccola is based in Epping and Brentwood. However, if you are not local to their stores they have an amazing selection on their website. Miss Rose doll, which comes beautifully packaged so makes the ideal gift. Miss Rose is squidgy soft and cuddly suitable from birth. MadPax Pactor Halfpack Landrover backpack, which is quite frankly the funkiest backpack I’ve seen. With dinosaur spikes adorning the front, it comes with a large zipped opening, which houses ample space for school books and lunchbox, as well as a smaller zipped area for valuables. Complete with padded, adjustable straps and name holder. Easy spin pottery wheel which comes complete with everything you need to mould, shape, sculpt and paint your own pot. A fantastic hands-on creative project. Whilst the summer sun might be behind us, swimwear is something that is required all year round. Platypus Australia is a leading UV swimwear brand. Providing a range of high-quality sun protective swimwear for girls and boys, ensuring the maximum sun protection with a UPF50+ rating. Eco-Friendly Swim Short offering style, sun protection and freedom of movement. Whether you’re heading into the waves, sliding into the pool or playing on the beach. Complete with a contrasting pocket on the back. Short Sleeve Rash Guard to provide UPF50+ protection, partnered with swim shorts or boardshorts. The 3/4 length sleeve allows for activity whilst the high collar provides additional protection. Indigo Leotard Rashie offering a long sleeved one piece suit. Perfect for ensuring maximum sun protection especially whilst being active in the sun. If there is one game brand that you will find on our shelves at home it is Orchard Toys. We discovered the brand during a stay and play session at Roo’s preschool (many moons ago) and fell in love. Back then it was the post box game that intrigued us to play more and more. Since then we have slowly added more and more games to our gaming stockpile. What a performance, which has to be the perfect game for my three children who seem to spend all day thinking that they need to sing, dance or perform. I can’t wait to see how they get on with this one! Cheeky Monkeys is a classic Orchard Toys game, we’ve had this one for a couple of years and love it. So we’ll be donating this one to the school to replenish their stock levels (you can never have too many Orchard Toys games). Money Match Game looks like the perfect game for Tigger who has a love for maths. With four pieces of maths to be completed at home each week, I can see this featuring regularly in homework record book. Whilst Piglet as the youngest is approaching three years old, she certainly hasn’t grown out of snack found in the baby food aisle in the supermarket. 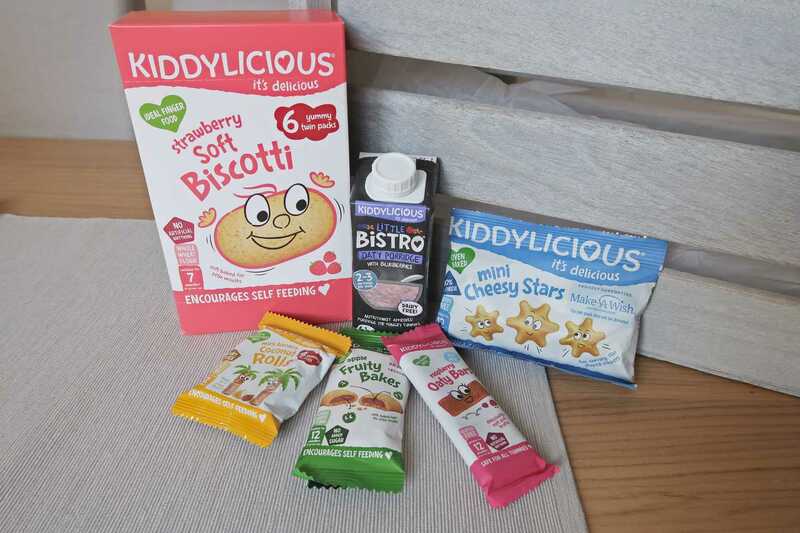 Although we are familiar with the Kiddylicious brand, their crisps are delicious. The range of goodies that they included within the hamper were all new to us. Glancing at the range of snack bars and packets they look perfect for keeping in the changing bag or in the picnic hamper for when we are out and about. I can’t wait to see what Piglet makes of these new treats. 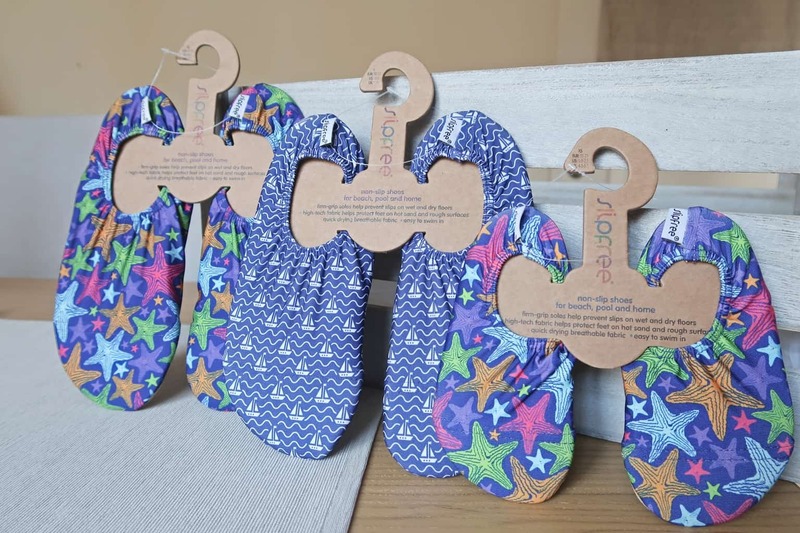 As I pulled these Slip Free slippers out of the hamper I loved the beautiful design of the shoes. Especially as I am able to twin Roo and Piglet with the funky starfish design. Whilst we have mostly carpet around the house, the tiled areas of the bathrooms and kitchen are a source of nightmares for me. Especially when they come running for their dinners, so these will ease my worry about them slipping over and hurting themselves. Not to mention how away these will be at the weekly swimming lessons! As a parent, I use far too many wipes across the course of the average week. Both in terms of cost but also environmentally. Cheeky Wipes is a brand that I have heard of, however, never managed to take the plunge into trying them out. I’ve heard so many say that they’ve loved them so I’m intrigued to see how easy it is to make the change over to washable baby wipes. Story time is always a precious time of the day, no matter whether it is after breakfast, mid-afternoon or just before bed. Making time to read is very important and nothing helps to get little ones to sit down and enjoy a story or two than one that features them. Penwizard offers a range of personalised stories featuring much-loved characters. 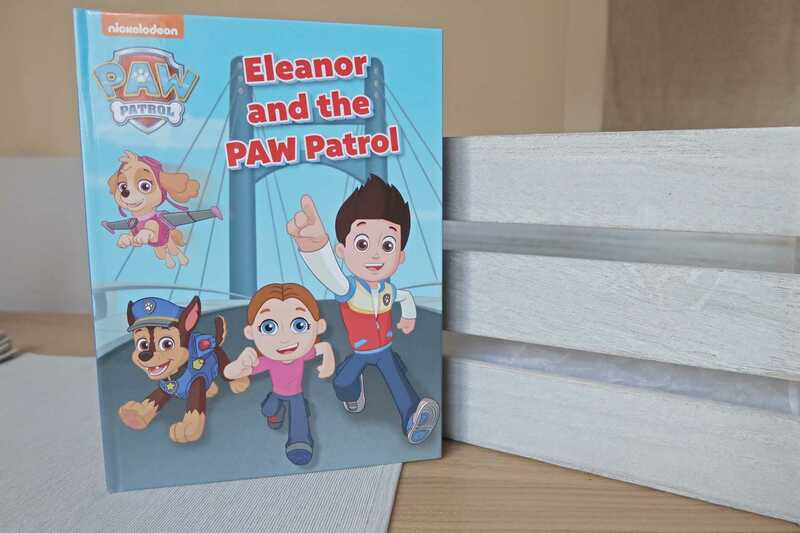 PAW Patrol is a favourite of Piglet’s and this storybook features details about her as well as a cartoon character with her characteristics. If you’ve been reading my blog for a while you’ll know that I have soft spot for pyjamas. So as soon as I opened the Happyology bag and saw the adorable pale pink pyjamas. Adorned with hot air balloons and cute frill detail. With Piglet due to have her tonsils removed these have to be the pyjamas she takes with her. A huge thank you to each and every brand who have contributed something for the children within the Tots + Tykes hamper. Social Network Solutions have done an amazing job partnering up such amazing brands – Thank you! These are some brilliant ideas! My son’s birthday is coming up in a few months so these suggestions are very helpful! Oh I love all of these. Those pyjamas are so pretty, I’m a sucker for pyjamas too! Love the doll too, my girls would love that. Big fan of Orchard games here too!